Adrian Beltre crested the hill in front of Rucker. He scanned the tree-line for the white throat of the buck. That, or the eyes, was what you usually saw first. Nothing moved except the leaves, which seemed to rustle themselves. There was no wind. His next step was on a mossy stone which slid underfoot. He fell on his hip. He dropped his rifle and rolled on his back. “Goddammit,” he muttered. After Adrian Beltre got on his feet, Rucker barged ahead. Rucker swayed when he walked, as though slow-dancing at that club up on the highway. His broad hips never tapered. He had such a wide base that falling seemed impossible. His feet, in those trail boots, looked as heavy and sturdy as flagstones. As they walked in silence, Adrian Beltre raised his rifle and leveled it at the center of Rucker’s back. Rucker had been turning and bantering every few moments, and he was sure to do so again soon. Adrian Beltre thought of a habit he had in high school. As he drove his Plymouth at night over the darkened and bending roads of the rural route, he would close his eyes and count … one one thousand, two one thousand, three one thousand … He couldn’t open his eyes until 10. He knew the curves of the road well enough, but not even the road itself could know them that well. A truck could pull onto the road, or the road could ease around a clot of trees, or a doe could cross, or a drunk could be stumbling along the shoulder. Nothing ever happened, though. Adrian Beltre made it to 10 only three or four times, and each time his heart thumped harder and harder as he counted … seven one thousand, eight one thousand … When he ripped back his eyelids, he caught his breath, always. Aiming his rifle at Rucker’s back gave him the same surge. It was as though he could feel the blood gush around his ribs. His forefinger traced the nape of the trigger. Rucker turned to speak. Adrian Beltre eased the gun back in time, he thought. But there may have been a certain flash in Rucker’s eye, as his mind processed what he was sure he hadn’t just seen. As Rucker’s truck curved homeward, a beer can in the bed rolled along the grooves in a rhythm that Adrian Beltre found pleasing. Nine years earlier, he had risen from the table to shower, and by the time he was done he no longer loved her. Any sort of sound like the beer cans rolling in the back — any sound almost musical but still haphazard enough, like jazz, maybe — made him think about things he didn’t want to think about. Like that time with her. Yet a part of him welcomed such thoughts. Being of two minds felt learned, practiced. 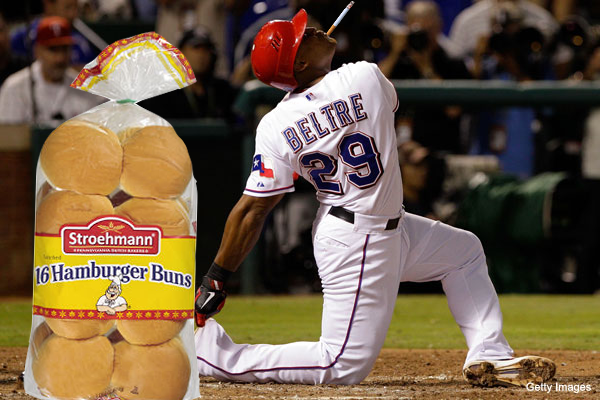 When the can finally came to a rest, Adrian Beltre figured it had gotten lodged against the deer’s body. Rucker was quiet, as resolute in his driving as a drunk would be, though Adrian Beltre didn’t think he was drunk yet. Rucker hadn’t spoken much since he … well, since he may have seen Adrian Beltre train the rifle on him. But he didn’t actually see it, Adrian Beltre thought. There was a ball of light alongside the road, within the trees — not a flash, but a presence — keeping pace with the truck. It was too fast for a traveler’s lantern, but it wasn’t anything like a reflection in the window. Adrian Beltre remembered not being able to sleep and seeing something on cable about a mythical living light that would lead men into bogs or swamps or so deep into the forest that they were never found. But this light didn’t seem to be leading them so much as it was just going in the same direction. When he thought this, his throat seemed to drop. Adrian Beltre felt hot. His whole face felt hot. He leaned against the window. He could feel the cool of the glass through his hair. He wanted to open the window, but the idea of the rushing noise scared him. His mouth opened. He could feel Rucker looking at him. “Are you crying?” Rucker said. Yes. Adrian Beltre couldn’t say anything. He reached for the door handle. He stopped his hand. The light had broken apart now and seemed to be scattering, like stars bursting. Part of it would stay with them, following or leading or just sharing the same direction. Part of it, Adrian Beltre guessed, would leave them. We hoped you liked reading Minimalist Short Fiction Starring Adrian Beltre by Dayn Perry! Mhm. Makes you think and poop at the same time.